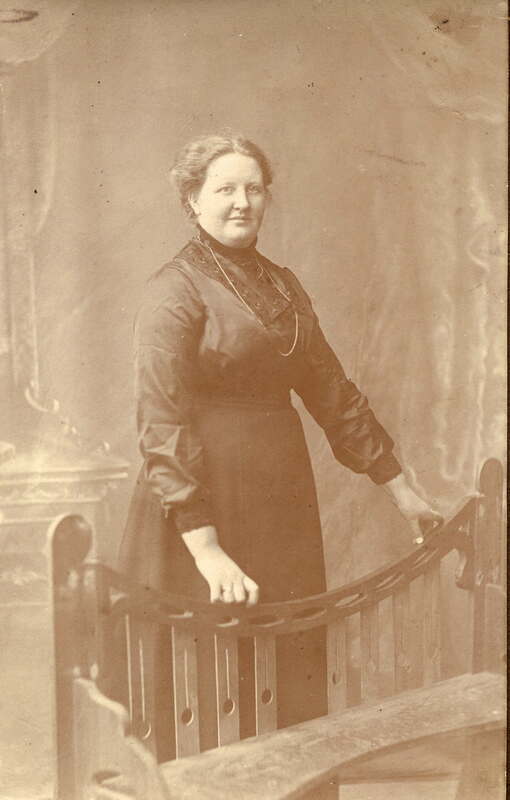 Mary Hunter Morton McCONNELL, was born on 23 March 1883 at Old Knockjarder, Ayrshire, Scotland to John McCONNELL, a 27 year old gamekeeper and his wife Isabella WATSON, a 25 year old farmer’s daughter. Mary’s name followed the Scottish naming tradition of the first daughter being named after the mother’s mother – in this case Mary HUNTER. However John’s mother’s name was also ‘Mary’ (Mary MORTON) so wee Mary’s name kept both sides of the family happy. Photo left: Mary, summer of 1895 [see post 16 April 2013 for family group photo]. Photo is from the collection of Mary Smith (in Tennessee). May Wood in Ayrshire, Scotland also has a copy of this photograph. Mary was the first born of what was to become a family of eight children born to John and Isabella McConnell. As the eldest she would always be expected to be the ‘Big Girl’, and help out with the younger children. In the 1891 census she is 8 years old, going to school, and no doubt helping her mother with the four younger chidren John (6), Thomas (4), Janet (2) and Isabella (‘under 1 month’). Her 63 year old grandmother Mary Hunter (widow of Thomas WATSON) is also with the family – no doubt to help her daughter Isabella with the birth of the new baby Isabella, and care of the other children. 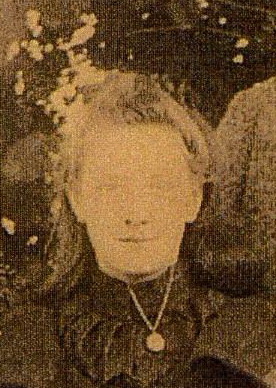 Mary THOMSON, 23, is also a visitor, but there is no indication of the relationship she may have had with the family. By the time of the 1901 census, Mary, 18 had trained as a dressmaker. The fact that she was listed with the family meant that she either still lived at home, or at least was home the day the census taker visited the McConnell family. Suddenly, on 11 June 1904, Mary’s mother Isabella died after an operation at the Western Informary in Glasgow. Although her mother had been sick for some time, her death was not expected. The McConnell family was motherless and Mary, as the eldest child and daughter, likely became a surrogate mother. Her brothers John (19) and Thomas (17) had completed shcool and worked outside the home; John as an apprentice joiner and Thomas as a clerk. Three children – Janet (15), Isabella (13) and Elizabeth (9) still attended school. The youngest, William, was only two years old. It seems fairly certain that Mary’s grandmother, Mary Hunter, would come and stay with the family. Also, Mary’s aunt and uncle Janet (WATSON) and Gilbert SPEIRS helped wherever they could. Photo below: A photograph of Mary, taken in 1913. 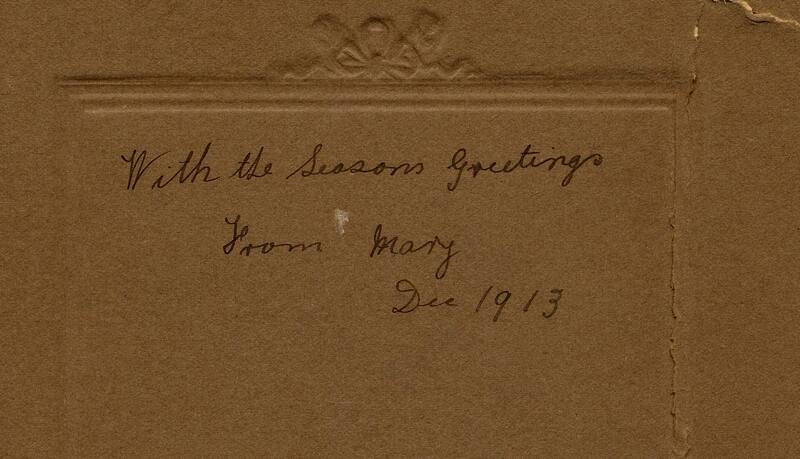 The inscription on the back of the photo, in Mary’s handwriting, “With the Seasons Greetings, From Mary, Dec 1913“. The photo is from the author’s collection.